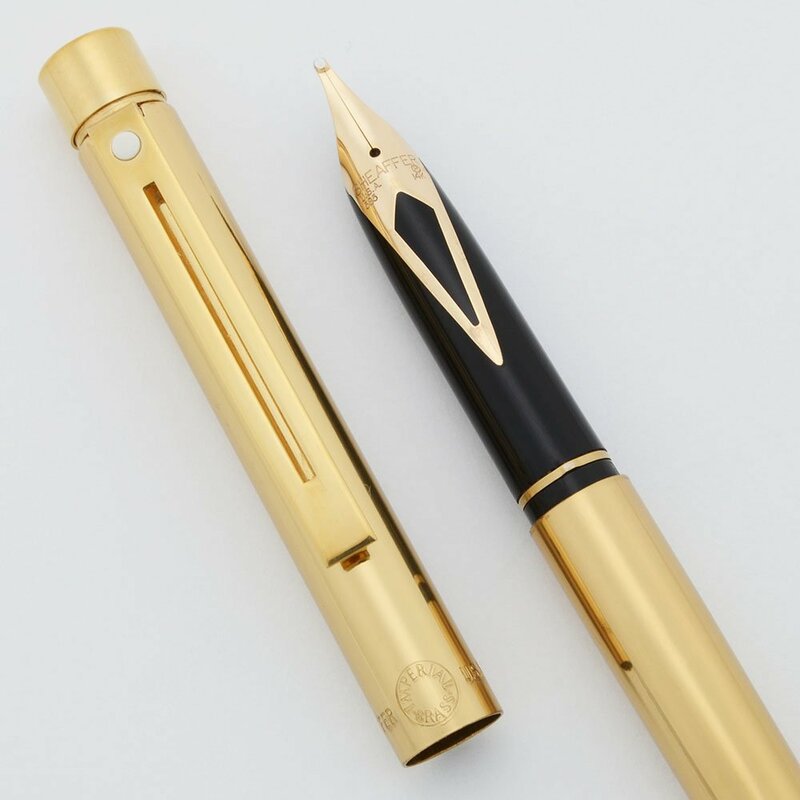 Beautiful shiny brass fountain pen with gold plated trim, slim size. Broad 14k gold nib. New old stock condition with a few light storage marks. 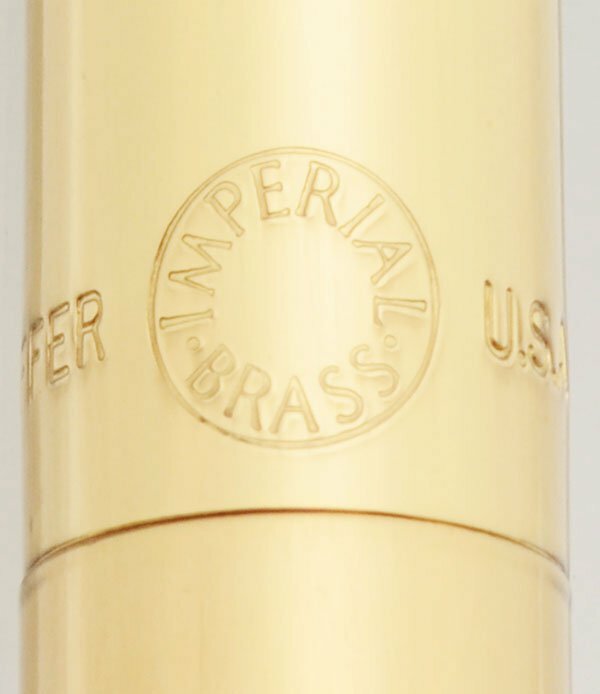 Product Name Targe 1020 aka "Imperial Brass" - slim version. Filling System Cartridge or converter. There is a Kaweco Sport converter included with the pen. The pen originally was intended for the slim cartridges or the slim squeeze converter, neither of which are readily available today. We have found the simple Kaweco Sport converter fits and works well. Color Brass with gold plated trim. Nib BROAD 14k nib. There is a "B" under the trim ring on the section. Condition New old stock condition for this slim and elegant pen, with light marks picked up in storage. No major scratches, dents, or personalization. The imprints are clear (see photographs).